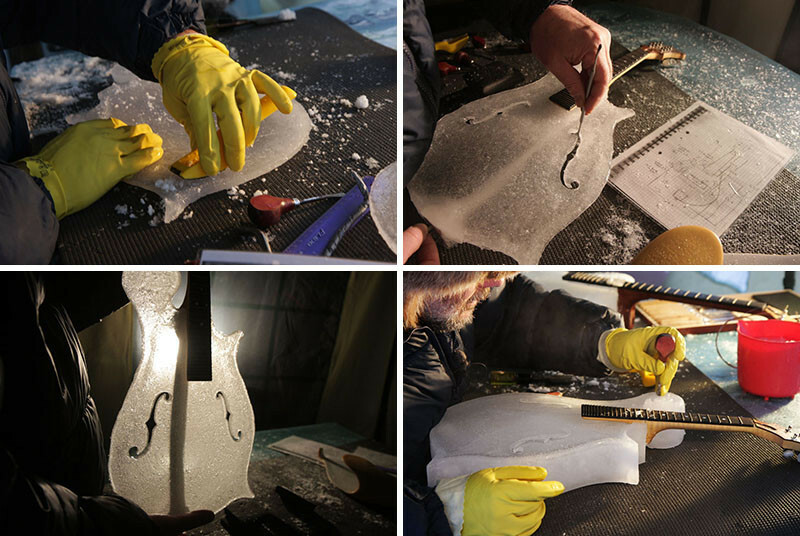 Tim Linhart, who has been working as an ice artist for 30 years, has moved from Colorado, to Sweden, to build instruments and put on concerts he calls Ice Music. 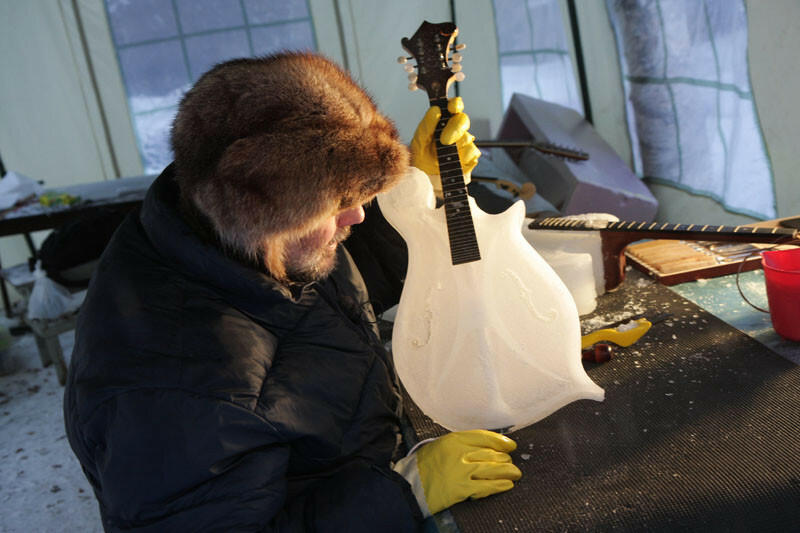 Each of the instruments, which are all made from ice, are created at Tim’s home in his garden, and he calls them ICESTRUMENTS. 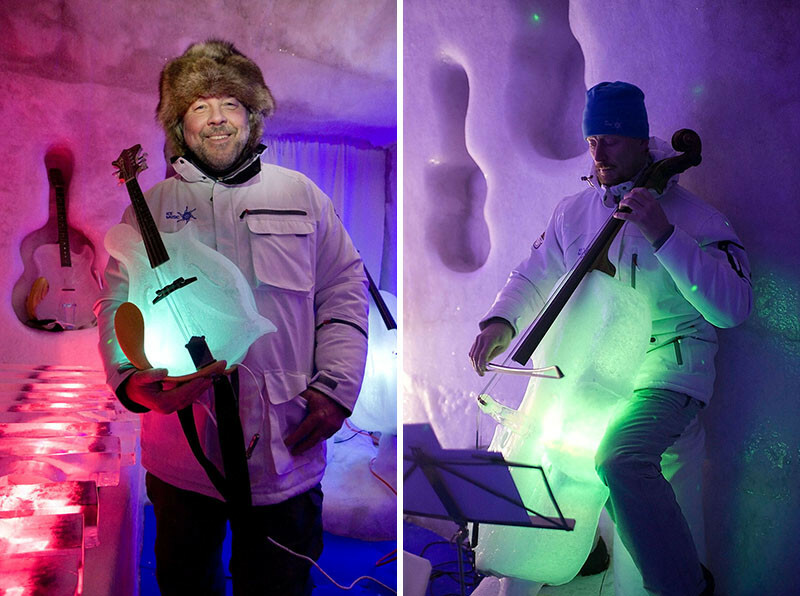 He has now built so many ICESTRUMENTS that he has enough for his own little orchestra. 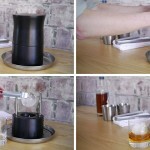 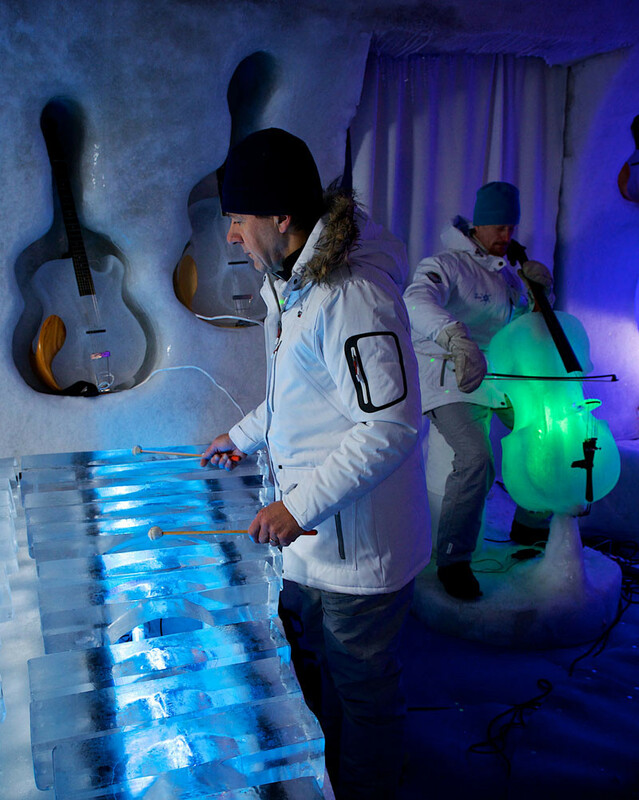 The ICE orchestra includes instruments made of ice, known as ICESTRUMENTS. 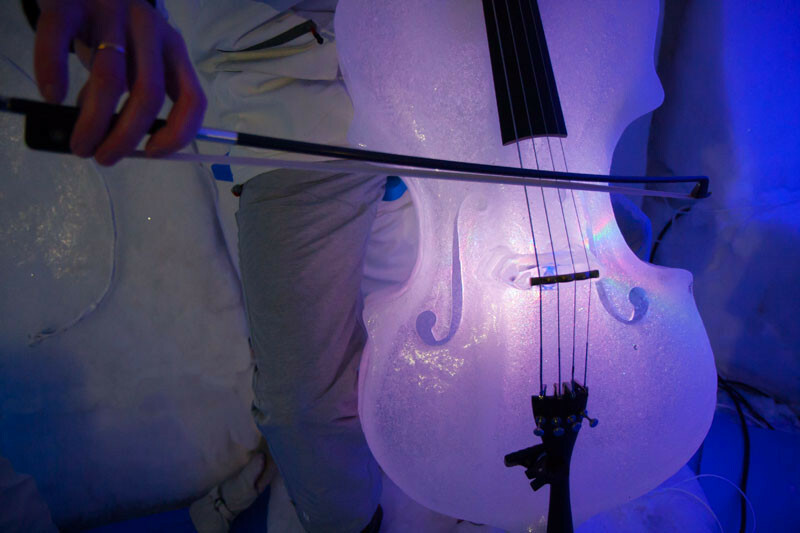 The pieces include a violin, viola, cello, contrabass, banjo, mandolin, guitar, drums, xylophone and rolandophone. 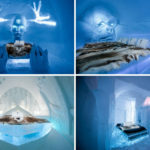 Now to play these instruments, they need to be kept cold, and some, like the violins, need to be hung from ropes for safety reasons as they are very fragile. 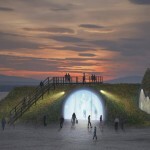 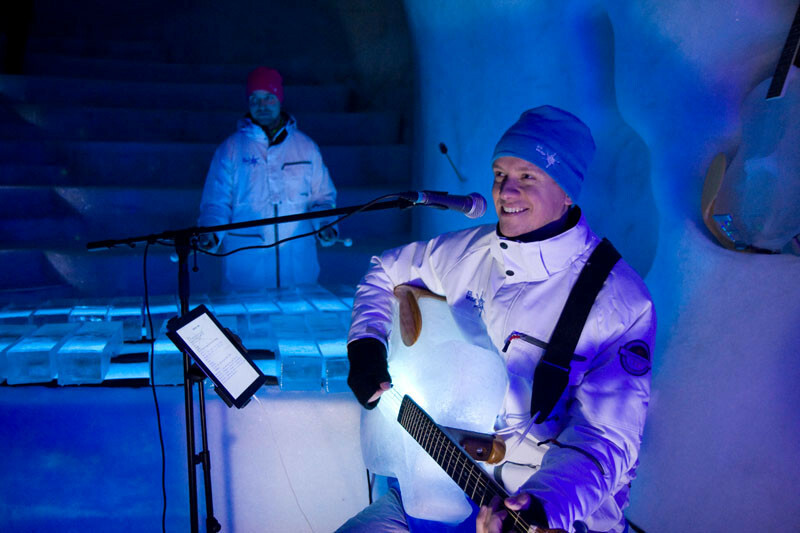 The ICESTRUMENTS, are played by skilled musicians in an igloo concert hall in Sweden. 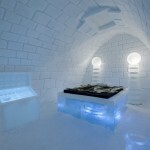 Here you can see how the instruments are stored in carved out sections of the icy concert hall. 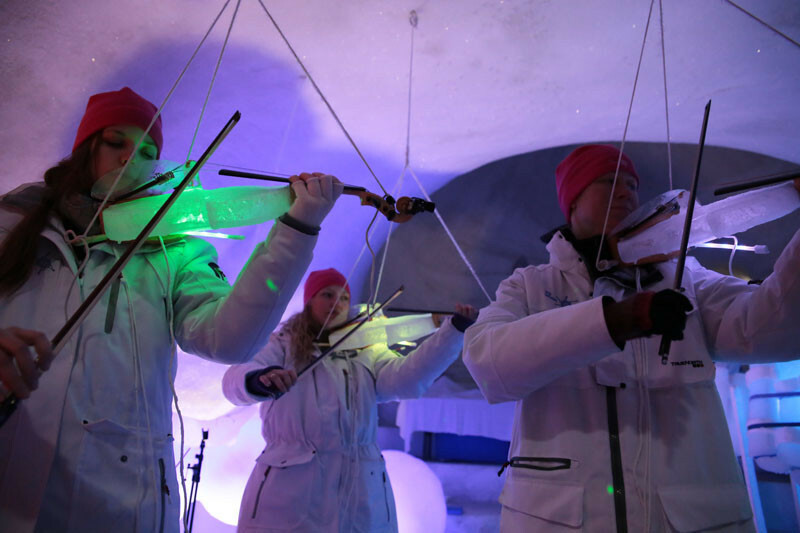 It’s a bit cold in the concert hall, with an constant indoor temperature of about ca -5 C (23 F), so everyone, including the musicians, have to wear warm winter clothes to keep warm. 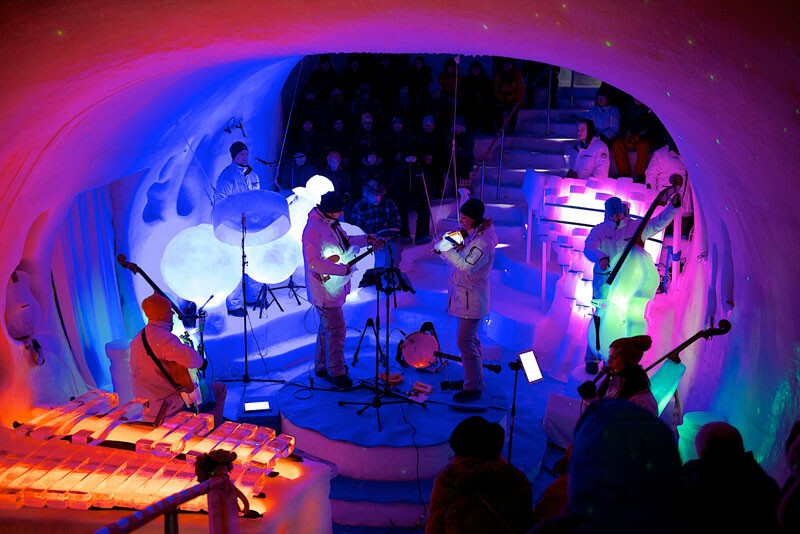 The concert hall can hold as many as 200 people, and it has been designed so that light shows can glow and pulsate in various colors, while the musicians are performing. 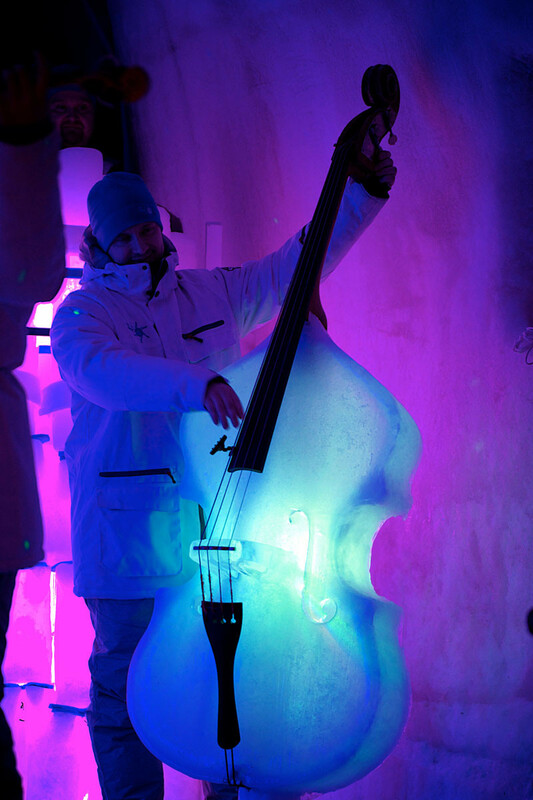 To hear how the instruments and concert hall sounds, watch the video below by P2 Photography.